The built in Ecwid store feature allows you to create an ecommerce store on your site. Ecwid is one of the most powerful and comprehensive ecommerce solutions on the web, providing you with a shopping cart, product categories, search capability, and a complete checkout process. Note: you can also use our Ecwid Ecommerce Store, or Ecwid Ecommerce Single Product widgets. Check these out if you have an existing store through Ecwid. To get started on the built in feature, select the Store tab from the left column and choose your store. 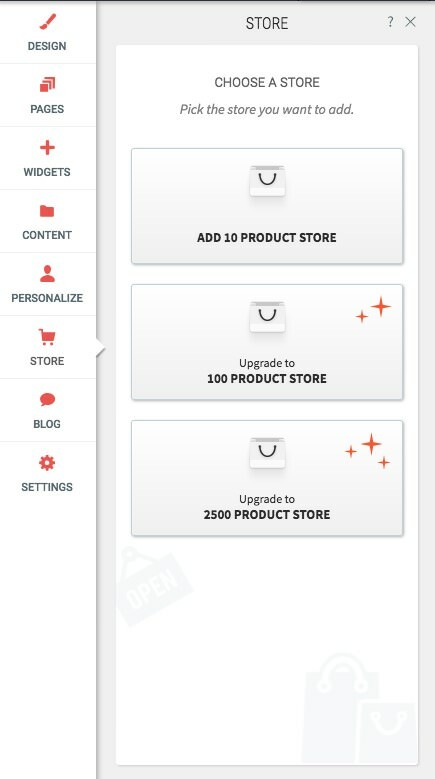 You can create a 10 product store for free or choose to upgrade to 100 or 2500. Note: the upgraded plans include hosting, meaning you don’t need to purchase an additional hosting plan to publish your site. Visit our hosting prices page and ecommerce plan features page for more information about what each plan offers. Once you select the store, you can begin customizing. Select “Manage Store” and your store Setup Wizard will open. 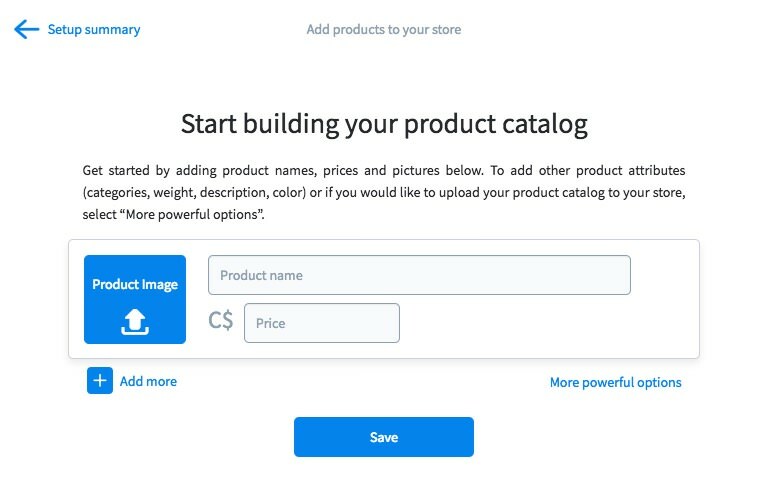 This Setup Wizard lays out the simple steps to complete your site and you can manage your store using the options on the left, including sales, catalog, channels, and more. 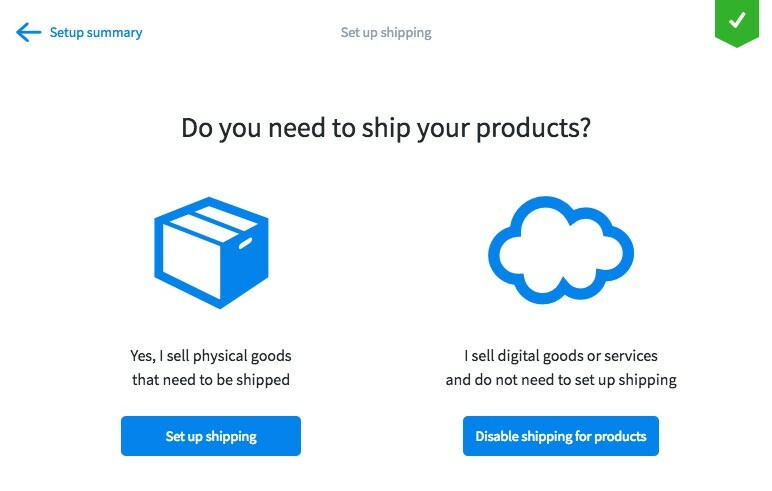 Select “Add products” and begin entering the products you would like to sell online. You can then enter the Product Name, Price, Product Image, and more. 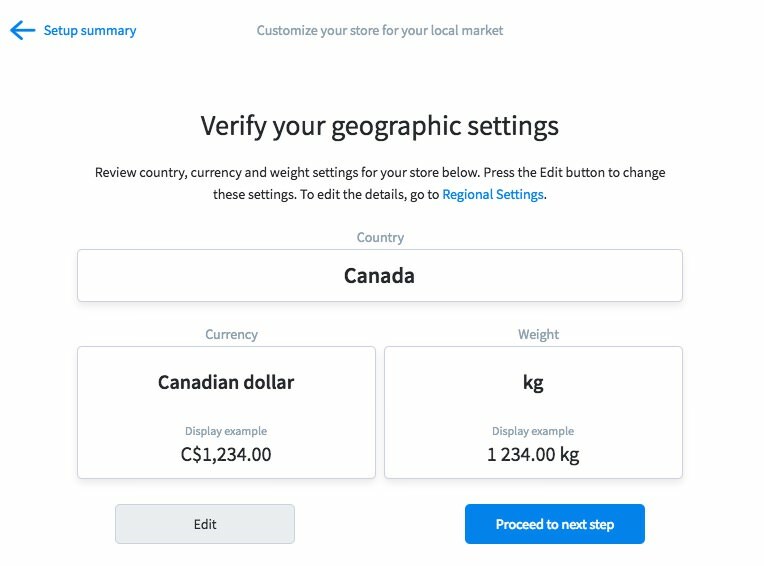 Select “Verify geo settings” to select your country, currency, and weight settings. Select “Get paid” to choose your preferred payment option. 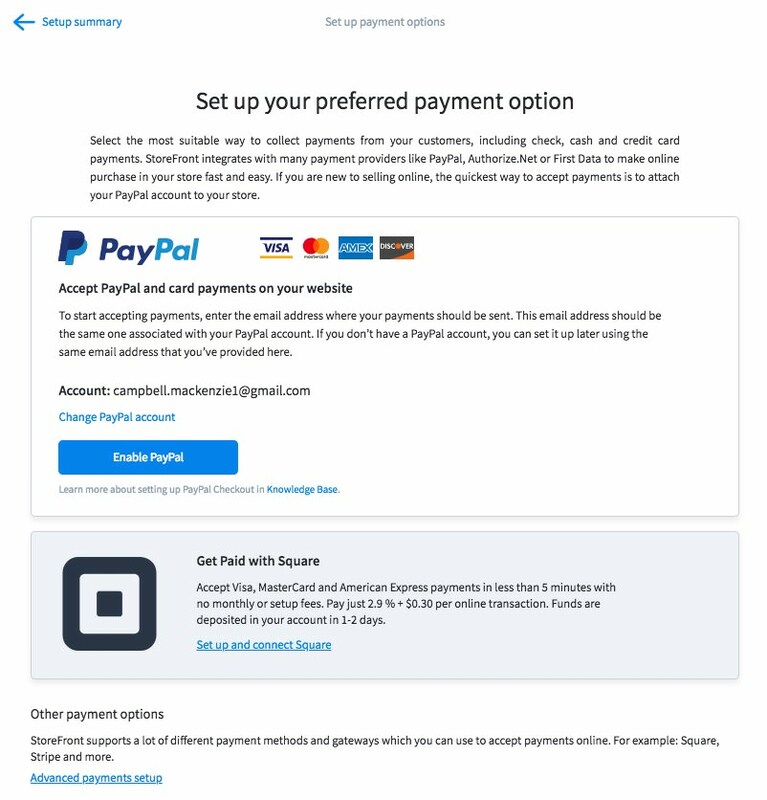 You can select PayPal, Stripe, or choose from “Advanced payments setup” to choose another method. Once you have finalized these options, the store will show your progress as 100% complete. 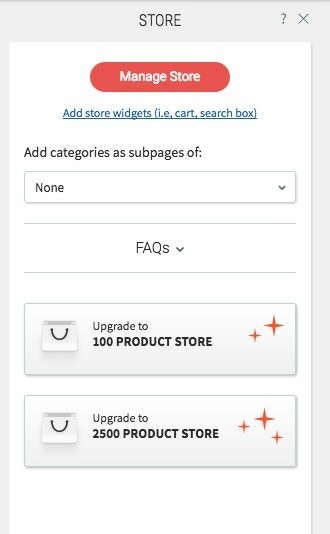 You can close the Setup Wizard, but can always make changes to products, categories, and other settings by clicking “Manage Store.” As well, you can add store widgets (e.g. cart) and/or add categories as subpages of a specific page by clicking the store tab on the left. You can adjust the store design by clicking on it from the site editor.